I've been back at school in New York for a few days now, but my apartment is without internet. The horror, indeed. Not only does that mean I'm backlogged up the wazoo, but that I've been cleaning, reading, and sleeping early. What's wrong with that, you ask? Well, everything. 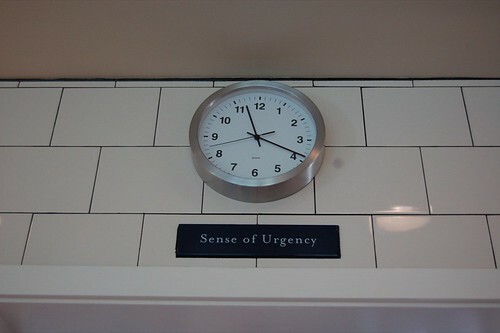 I pine for the RSS updates, emails, instant messages, as much as I pine for a good meal. So when will life resume? September 8, officially, but I think I might blog away at the library like a good college student. After the long-winded series about Wine Country, I'm reverting back to the ol' routine. Right now, I'm pretty backlogged, but there are a couple restaurants that are more relevant to be reported now since they have a changing menu. A summer menu has less meaning in the fall, though I would also argue San Francisco really has no literal seasons. Anyhoo, I had been talking about going to Range for a long time and finally made it this week. 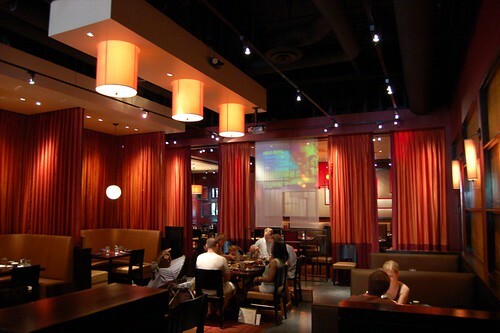 The restaurant is divided into three sections: the bar area, the middle corridor (where we were seated), and the backroom. 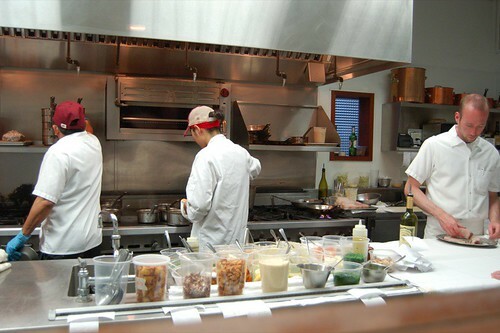 We got a good view of the kitchen (as well as patrons heading to the bathroom). The picture above is great for inserting irreverent captions. We were seated next to a party of decibel-shattering fifty-somethings who were waxing poetic about diversity in San Francisco, among other things. Yeah. That place gets loud. I was very pleased with this special of the night. 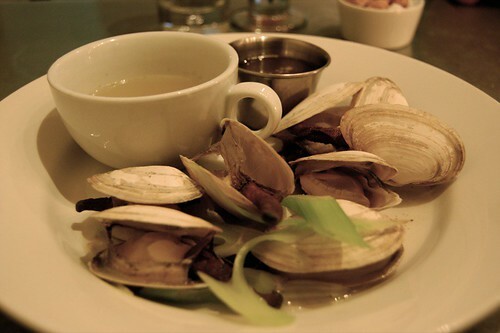 The clams were just-cooked and extremely fresh. I started to neglect the celery broth and drawn butter, since I felt the clams were just great in their unadulterated form. I would have liked to have this entree size. The fish was perfectly pan-roasted, but inconsistently (over)seasoned. 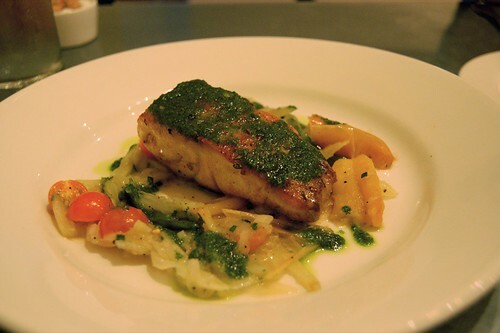 Any flavor from the fish was masked by the vinaigrette. 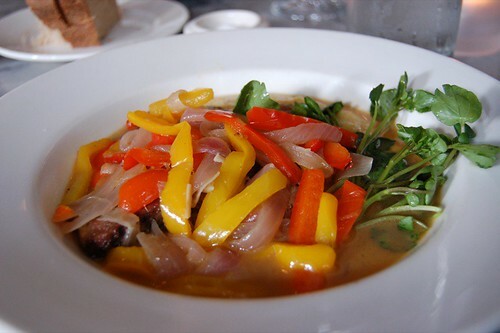 My favorite were the roasted peppers, which were meltingly-tender, sweet, and smoky. Overall, the bass, though good, wasn't too memorable. This was a very tender flap steak done just a tad under medium rare--in other words, perfect. 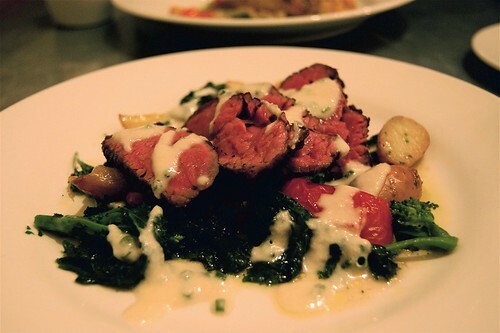 Flavorful and meaty, it had a texture I preferred to the flatiron. In fact, I was pleasantly surprised by how soft yet lean the meat was. The bitter greens, the sweet tomatoes and the subtle horseradish all played together well with the steak. I was expecting the halibut to come out in a Le Creuset pot, so I was mildly disappointed when it didn't. Does anyone know if it's only a winter thing? 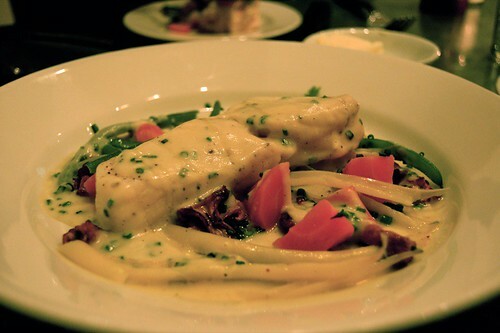 In any case, the halibut was tender and delicate, its flesh accented with the sweet, light corn sauce. This very summer entree also contained my two favorite things: haricots and chanterelles. 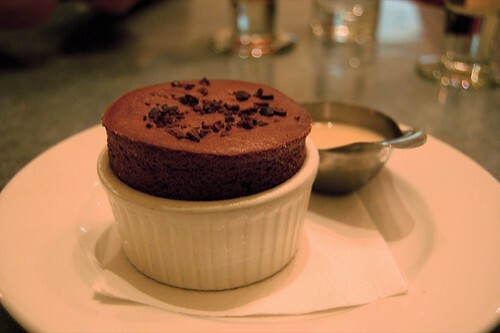 The desserts were the standouts of the meal that night; this chocolate souffle was probably my favorite, and I'm not a chocolate fiend. The chocolate was dark and bitter, and the dense, smooth bottom was intensely decadent. The creme anglaise was quite weak though, and contributed minimally in flavor. 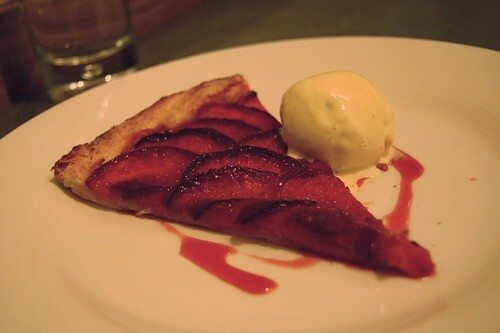 This was nearly identical to the tart at Delfina--flaky, buttery crust, tart fruit, and a gingery ice cream. The crepes themselves weren't so flavorful, but I loved the fromage blanc, which was whipped to a nice ethereal quality with good volume. 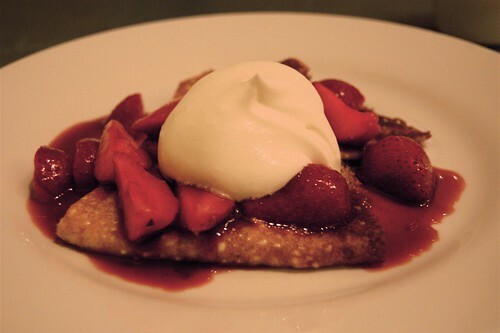 I would have been fine with just the strawberries and the fromage, since the crepes were so bland. I should've run to Ti Couz to grab a plain crepe to replace it. 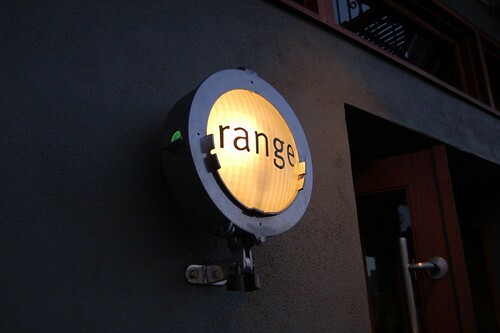 Overall, the food at Range made a strong first impression. 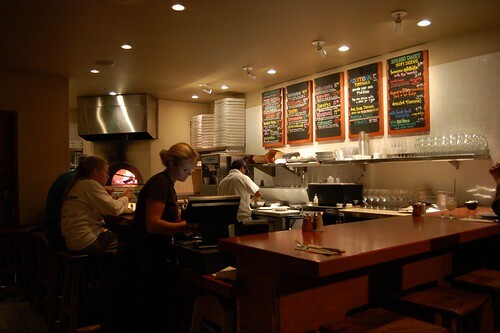 One notch below Delfina in sophistication, Range's Californian fare is undeniably solid, but not exceptional. Nothing really stood out to me except for the chocolate souffle and the fromage blanc. I do, however, find the items very reasonably priced for the quality. I was pleasantly surprised with our bill; or maybe I just can't do simple mental addition. Well, as I was saying, we were feeling particularly scene-ic that day, so we decided to embark on Highway 1 to head back to Marin. That is, after we drove through hipster-hangout Santa Rosa, which was quite the journey indeed. The drive on the Shoreline Highway sure was beautiful as we went the length of Tomales Bay and passed by many an oyster farm. The novelty wore off after the first two hours, and we both started getting sick. The roads became treacherous and difficult to navigate, and 102.1's Viking tunes just made it more of a losing battle against the neverending roads. At long last, we did arrive in the beloved Marin. We had initially intended to go to Fish in Sausalito, but we were too sick for more gifts from the sea. 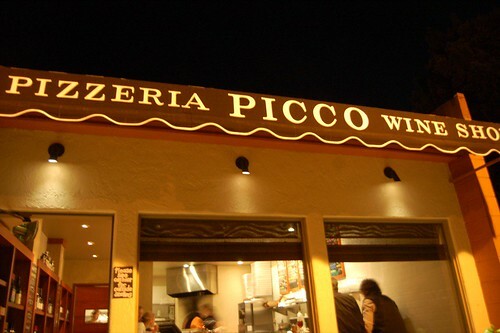 I then remembered that I had wanted to try Picco Pizzeria in Larkspur for some time. Even when we arrived at 9:15, there was a line. 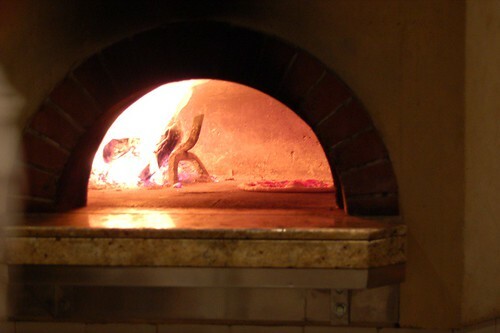 Fortunately, two bar seats near the wood burning oven welcomed us to rest our tired hides. It was smoldering hot sitting so near all the action, but at least we got to witness some substantial crust-puffing. 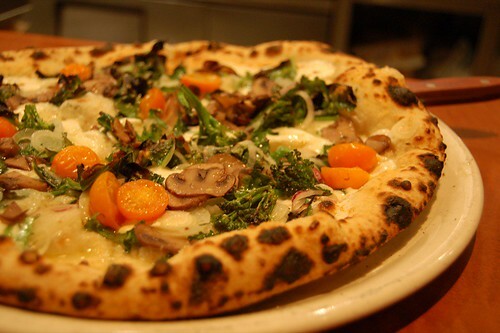 It was a tough choice between the della santa and the seven, which consisted of seasonal mushrooms. So we struck a compromise and added mushrooms to the della santa, which was a "good call," as reaffirmed by our helpful server. The toppings were excellent, with sweet and juicy cherry tomatoes and great hand-pulled mozarella. The crust was slightly sweet and smoky, with a chewy, yeasty character. And even after we had suppressed our inner gluttons, we still had half of the foot-long-diameter pie to spare. Well, we had decided to pass up dessert and go on our merry way, when I pulled out my camera and started shooting up the place. Owner Bruce Hill of Bix fame stopped me in my tracks as he exclaimed, "I've busted a blogger!" He found out that we had passed up dessert--and insisted that we try the softserve with olive oil and salt. After hearing about the olive oil ice cream at Babbo (which is next on my NY list), I knew this was a must when I saw it on the menu. So Bruce offered us a taste (which was really a bowl as you can see), and it was some of the richest, creamiest soft-serve I've ever had. My palate protested, "But this isn't softserve! It's usually watered down and never contains this much milkfat!" What an eye opener. 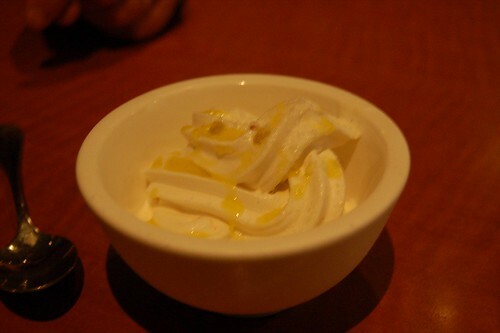 The olive oil and sea salt brought out textures and flavors one never thought possible in a vanilla softserve. This is definitely one to crave (which I am!). It was nearly empty by the time we left, but I imagine it would be pretty hard to get a seat during normal dining hours. So head over for some good pizza, or at least to taste some exceptional softserve. And so this concludes the wine country series of posts. Except it really didn't end here because we went back a few days later to crash a picnic held by a certain man of urgency. Though the food coma from lunch had yet to kick in, we already felt like passing out. Some of it was due to the rising valley temperatures outside, but we were really dying from laughter. We had just passed for a couple of cougars from the city celebrating a birthday in Napa and harbored no qualms about our geriatric front. We were a couple of fools high on life. We also overheard a conversation about someone forming a partnership with P.F. Changs and considered interrupting to inform them of their poor decision, but we weren't feeling that generous. After browsing around the store for a bit, molesting more pots and pans, and getting vexed by a normal 2-dollar bottle of oyster sauce marked up to 8 dollars at D&D, we searched for the almonds. Upon failing to find them myself, I asked a sluggish clerk to assist me. After rudely accepting my request and taking her time browsing the shelves and "the back", she returned to tell me that they were out of the almonds, and then suggested some other offensive alternative. What a great disappointment D&D was. Williams-Sonoma may not have a deli, fresh produce or a bakery, but they've got all the "gourmet" I'll ever need for my pantry, and classy, geezer salespeople to boot. Next up was CIA Greystone, which was a totally spontaneous pitstop (we may be old, but we refuse to be stuck in a predictable rut). A wedding ceremony had just taken place, and we were there to witness all the inebriated groomsmen and bridesmaids embarrassing themselves in front of visitors. The frustrated photographer for the ceremony was playing kindergarten teacher to a bunch of wasted, well-dressed adult kids, trying to get them to pose long enough for halfway decent shots. Meanwhile, we sat on a bench facing all the hoopla and attempted to predict the groomsman-bridesmaid hookups that would undeniably take place that night. We then took a brief, self-guided tour of the ground floor of the school, which was beautiful and rich with historic artifacts and displays. It inspired us to suggest forcing our kids (if we were to have any) to attend culinary school so they would eventually cook for us. We wouldn't care less about what they aspired to do in life; it'd be all about our agenda to chow down like kings well into our 80s (coming up soon). 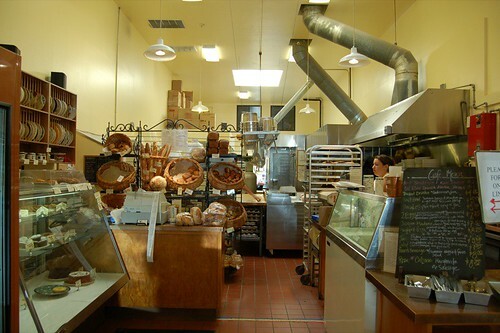 Dean & Deluca and Greystone were all along the way to our next destination, Healdsburg, where Downtown Bakery's carbs were our next target. Healdsburg welcomed us with open arms in the form of a parking space smack in the front of Downtown Bakery. That is, after we drove around for a good half hour looking for Plaza Street, which was, much to our chagrin, right near the plaza. 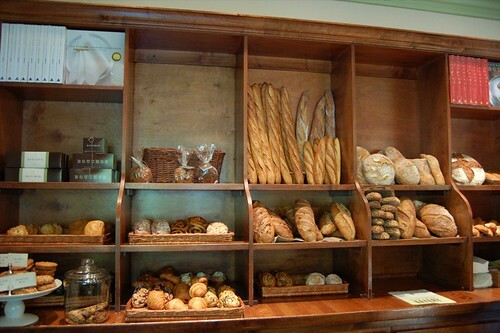 What a cute little bakery, with items just like mom used to make, if only my mother baked or cooked. 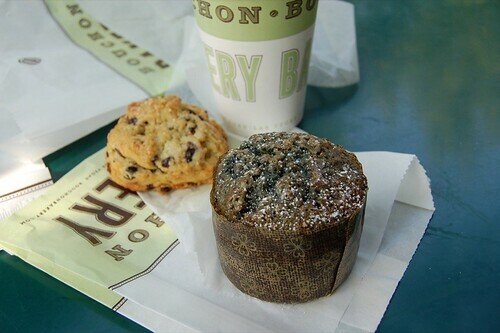 After hearing all the rage about Downtown Bakery's bran muffins sold at the Ferry Building Farmer's Market on saturday mornings, I've been dying to try one. I cannot get up early on saturday mornings to save my life, so instead I get the muffins at the source--in its very Healdsburg birthplace (albeit I did get up at 7 am that morning to embark on these shenanigans). 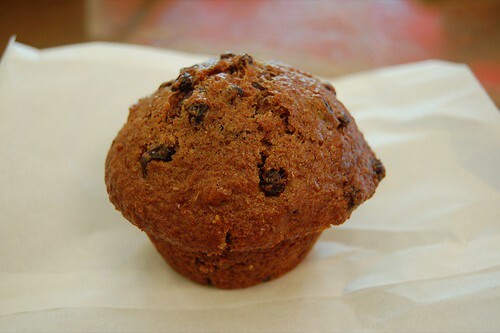 The muffin was a bit disappointing--its composition was very mollasses-based, and was therefore lacking the branny texture I usually look for. It paled in comparison to the muffins at FatApples. 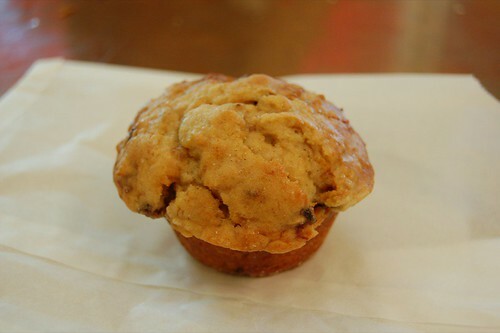 The oatmeal muffin was a bit better, though it mostly tasted like orange rather than oatmeal and prune. How misleading. Like Apple Jacks. After that, we decided to be scene--that is, by taking the scenic route back to Marin on Highway 1. One of my favorite meals this summer has got to be at Redd in how-many-tasting-menus-can-you-stomach Yountville. While it's no metropolis by far, one cannot go hungry walking through this Bay Area fine dining destination. There's even a janky bar chock-full of shady characters and polished hurleys parked outside. Yes, there's a Yountville for everyone. This picture really does not do the space justice. 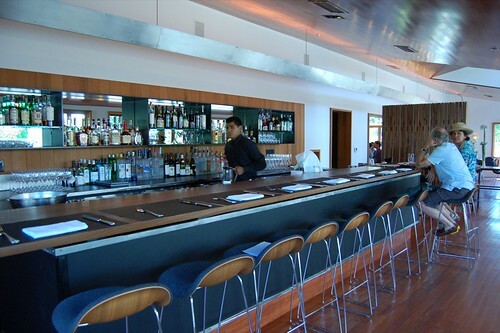 Designed by Peter Guzy of Asfour Guzy, the restaurant features a minimalist interior with many a white wall flanked by dark cedar, and accented by charcoal-dyed peacoat wool upholstery. As a lover of all things sterile (Apple store for example), the space really enhanced the dining experience. Everything in the restaurant showed a touch of elegance, down to the printed collateral. The embossed business cards were die-cut with a perforated rule, and the menus shared the same detail. Most items on the menu sounded good. Not wanting to miss out on anything, Julyanne and I both went with the 4 course tasting menu. We each received different courses, and basically covered everything I wanted to try on the menu. 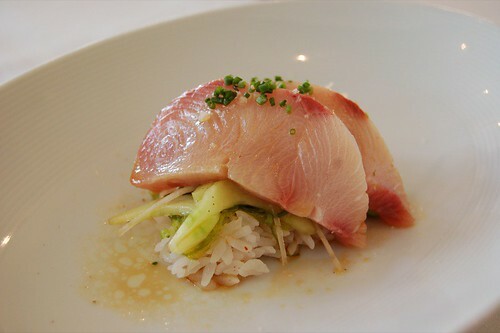 The yellowtail was fresh and smooth, but the real standout was the rice. Harder and more al dente than sushi rice, it was sour, sweet, and zesty at the same time. The seaweed salad was also a good flavor component of this appetizer. This was one of my favorite courses of the day. 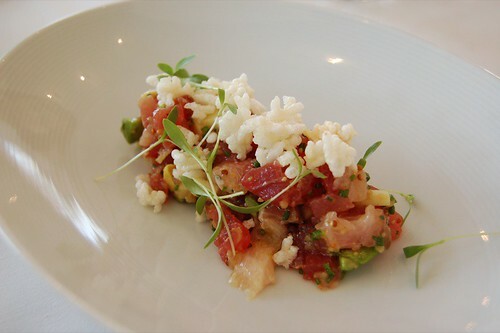 No doubt it was a great tartare--the fish was smooth and fresh, and the avocado added a creamy balance. 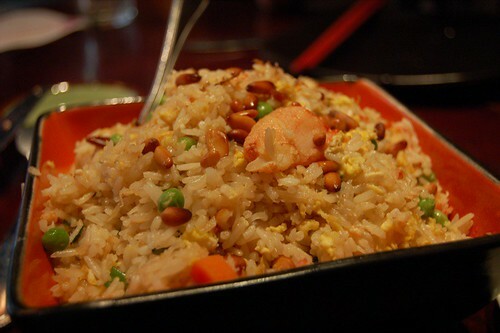 What I liked most, however, was the deep-fried rice bits that added a wonderful contrast of textures. Light and refreshing, this course was great for a warm Napa day. I couldn't help but draw parallels to the famed scallops dish at Jean Georges, and I daresay Redd's was better. 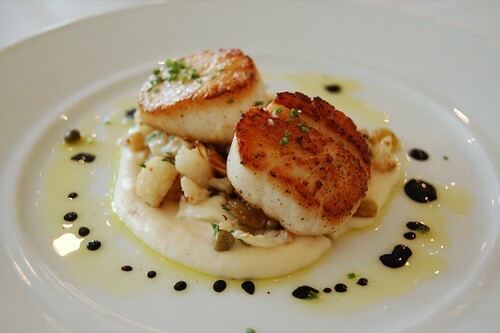 I'll skip the part about the scallops being seared perfectly, and skip to the creamy cauliflower puree, which was sinfully rich and smooth. The almonds added texture and the green raisins balanced out the rich balsamic and grassy olive oil. This was yet another favorite. 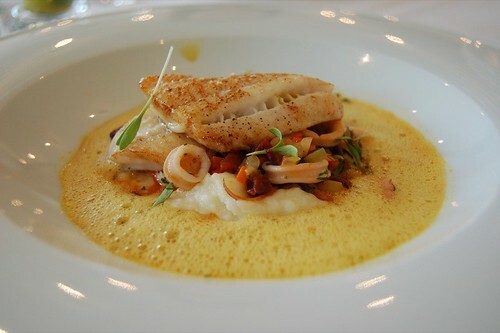 The sole was cooked perfectly, and it lay atop a bed of ethereal mashed potatoes and a delectable array of calamari, octobpus, and chorizo. What did it for me was the saffron curry sauce, which was a great flavor combination and maintained its foamy physique. This was perhaps the favorite course of the day. 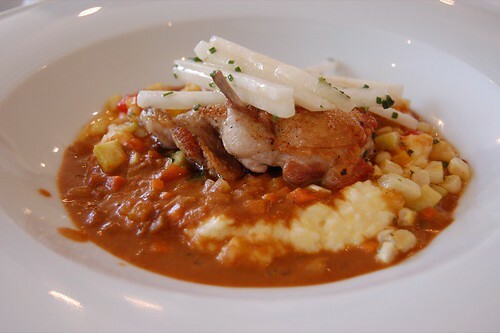 The quail was succulent with a crispy browned skin. I've never had a quail preparation with Mexican spices, and this worked extremely well. The cheddar polenta was not heavy at all; the white corn and jicama added a nice refreshing crunch. Finally, the perfectly seasoned mole sauce topped off this creative and refined dish. According to our server, the shortribs took two days to make, and I believe him. Intensely flavorful but not oversalted, the tender shortribs were topped with a crunchy horseradish crust, which helped to add texture rather than flavor. The whipped potatoes were ethereally light, albeit a bit flavorless. I absolutely adore chanterelles, and they were small and delicate, interspersed with haricots verts and baby carrots. I felt the beef stock reduction and the pepper was a bit superfluous, though I did appreciate how the pepper was coarse. While the apps and entrees were exceptional, the desserts fell a bit short of our expectations. Chocolate and raspberry? Not the most original (nor my favorite) pairing, and I know Redd can do better. I enjoyed the tart sorbet most of all out of this rather disappointing dessert. I need to mention that when we were given the desserts, a different and rather curt server briefly ran off the names and left us with a guessing competition. 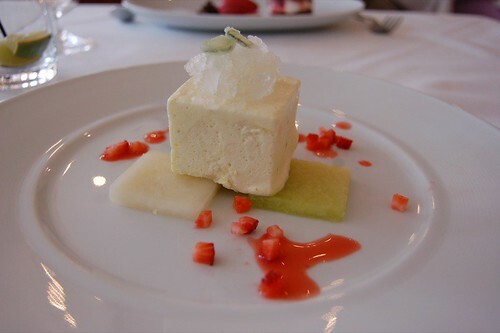 Tart and light, the half-frozen block seemed like a citrus semifreddo to me. I ate a spoonful of the granite, not knowing what it was and subsequently burning my epiglottis; Julyanne thought it was frozen alcohol. Turns out we were pretty much on the mark. I found the dessert pretty interesting, though I can't say it was too enjoyable. 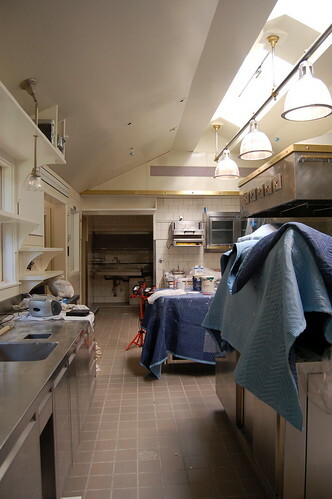 When the meal was done, I did my usual tour of the kitchen; I was surprised to find it so small. 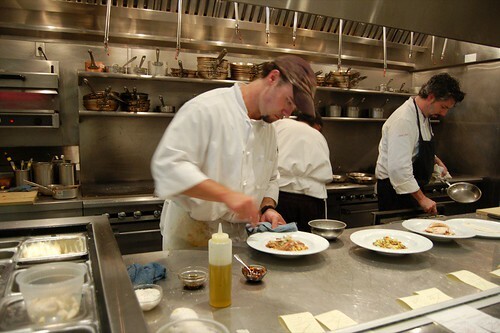 Here you see one of the sous chefs and Redd himself, in the black apron. 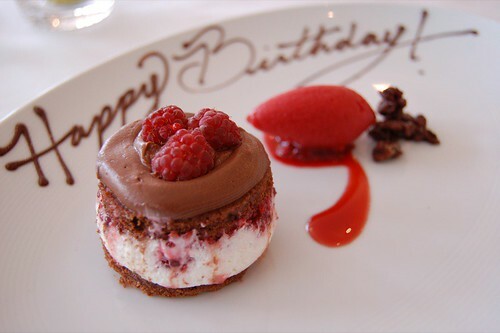 We were delighted to find that they "knew" who we were (the two tasting menus and a birthday). 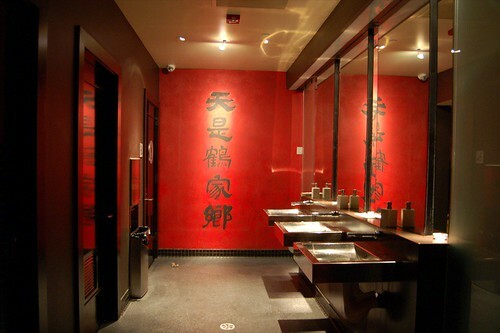 I must also make a mention of the bathroom. 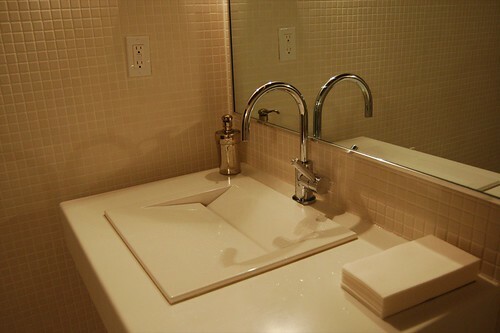 It had a beautiful sink, and they were playing some swanky downtempo, something along the lines of Sven Vath. 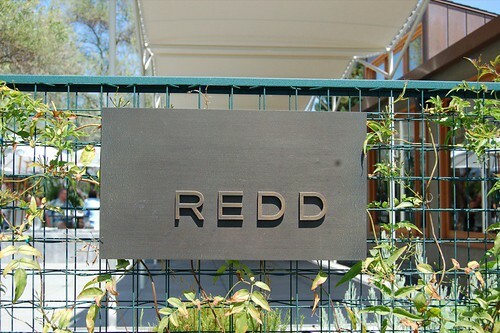 Redd is definitely worth the trip over to Yountville, so head over before it gets too hard to get in. A French laundromat of whorehouse origin, indeed. Continuing this cryptic nonsense, I will go on to describe the two hours that followed our delightful breakfast, in as little detail as possible, of course. Mr. Keller likes to keep dings on da down-low. 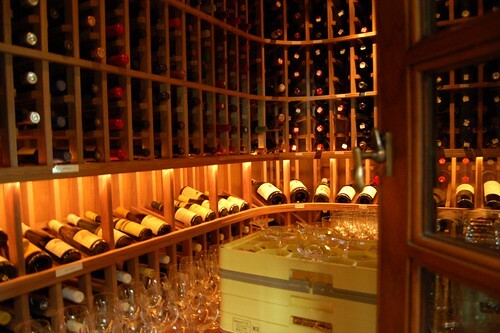 So, we were invited into his lair, molested quite a few copper-plated pots and pans, roamed around unbridled in his pristine kitchen, meditated in the meat locker, locked ourselves in the bathroom to shoot some... things, and did some more molesting in the wine cellar. And then we decided to leave the men-in-white to their tasks. Now that that's out of the way, on to some comprehensible narration. We had roughly one hour to go before lunch at Redd, so a very brief wine-tasting tour was in order. 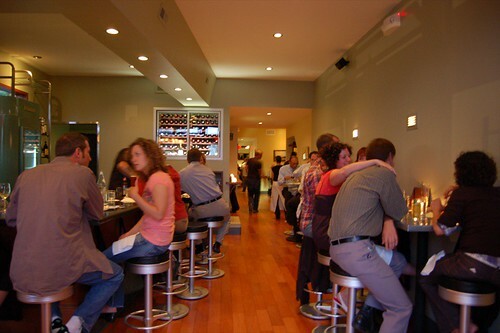 We noted that just few minutes north of Washington St. on 29-N was PlumpJack Winery. As we are quite the suckers for all things sleek+San Francisco, Gavin Newsom's establishment seemed like an ideal spot to relax away the mid-morning. 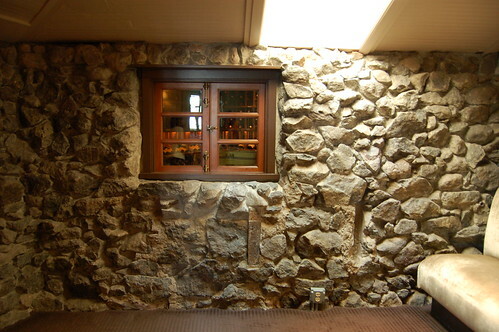 That is, until we settled on Neibaum-Coppola, just a couple of exits farther, instead. We never made it in, though, and learned one thing during our drive: If you own a piece of hot land alongside Hwy 29, you should not obscure your vineyard's name or hide the entrance driveway to the extent that drivers can't find you. Not only do you risk losing their business, you also risk getting sued for their death in the unforgiving highway traffic. The disappointment that resulted from our fruitless drive was quickly remedied by a spectacular meal at Redd. While being a rather productive intern one afternoon a few weeks ago, HH IMed me and suggested a Napa excursion. Why? Because we are 80-year-old men with refined interests and a boatload of disposable income. Having very much enjoyed past visits to Wine Country with my family as a kid, and to the French Laundry this past Winter, I couldn't refuse yet another opportunity to sample Napa's ambrosiac culinary offerings, especially with someone who lives to eat more than she eats to live. So, naturally, my response was a "yes". Actually, it was more of an "Aight, letz do dis ding!" Redd, Cyrus, and Bouchon were among the restaurants under consideration so our only difficulty at that point was narrowing down the choices. Alright, time for me to take the virtual helm. One of the biggest vexations in life is choosing restaurant; every mealtime is an opportunity, and by settling for one, you forgo the chance to try another. Now then, to the contestants. Bouchon, Thomas Keller's cork, didn't sound all that appealing: French bistro was just too heavy, and we didn't just want to settle for the oysters and bubbly. 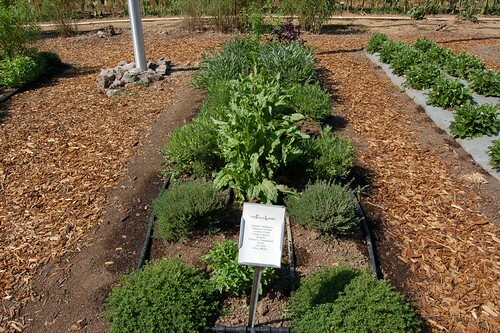 Cyrus, deemed the "next French Laundry," is all the rage these days. Upon closer examination of the truffled/foied gras-ed/caviared out menu, nothing sounded too interesting. 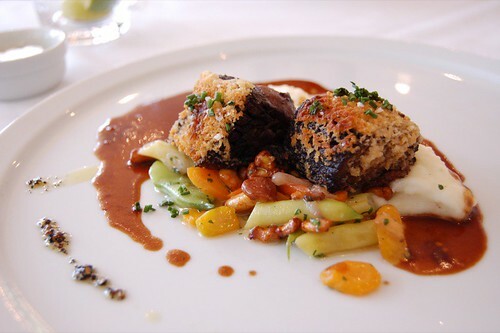 Also, having seen pictures here and there, the plates didn't seem to reach the refinement or sophistication of the French Laundry, because the FL it is not. 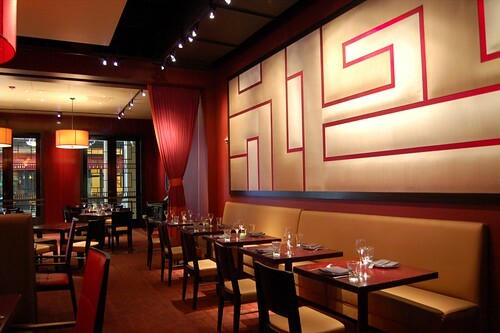 Of the three, Redd sounded the most refreshing, featuring contemporary American fare with Asian and Latin American influences. 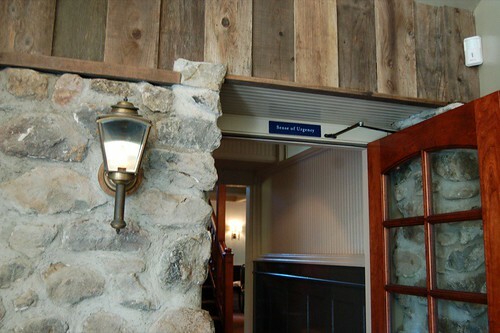 We also liked how accessible the restaurant was, without the hustle and bustle for a precious seat. 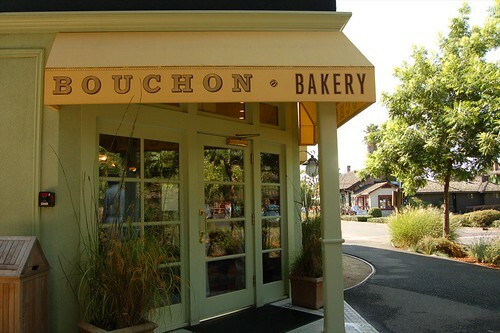 Bouchon Bakery for breakfast and Redd for lunch it was. Lovers of cheese we are not; however, we love cheese. Armed with a soundtrack housing the likes of Pat Benatar, Jackson Browne, Belinda Carlisle and Phil Collins, we were ready to roll on a sunny Saturday morning. The trip north was only a convertible and couple of Golden Girls silk headscarves away from being the roquefort of cheesy experiences. We planned the first half of our day meticulously and were confident that spontaneous doodads would carry us the rest of the way into the evening. 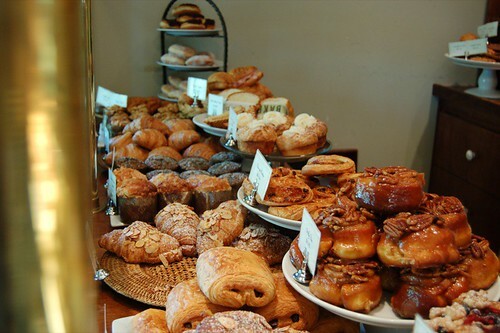 We were to arrive at Bouchon Bakery early to have a light breakfast so that the refined carbs would be well-digested by our 1pm reservation at Redd. It was pretty difficult to choose out of the myriad of empty carbs just beckoning for our immediate consumption. Add to that the pressure of having a gazillion Yountvillains behind you, all clamoring for an edible start to the morning, TK style. So, Julyanne went for the unadulteratedly-blue blueblueberry muffin, while I went for a currant scone. The scone was buttery and crumbly, though I think Citizen Cake's buckwheat scones have an edge--those are simply delectable. She also got a macchiatto, and get this: I order a single cappuccino, I am given a double, but I pay for a coffee. Can this place get any better? Yes. Because, outside in the seating area, one does not need Saturday morning cartoons. Yountville is a place of many dogs, but even more rampant are dog molesters. We begin with two senior citizens, let's refer to them as Bill and Sue. So poor old Bill and Sue are trying to enjoy their pastries and coffee in peace, when a family of three and their dogs appear. "I hope they don't see us," Sue mutters. Too late. The family pulls up many a chair up to the small table and tie down their dogs. So within five minutes, we witness about four passersby come to pat the two poor canines. "The dogs have bitten people," stammers the uncomfortable mother of one. More esoteric amusement ensues, but I'll just leave it at that. So we continue on our journey, and come across a french laundromat, of whorehouse origin. 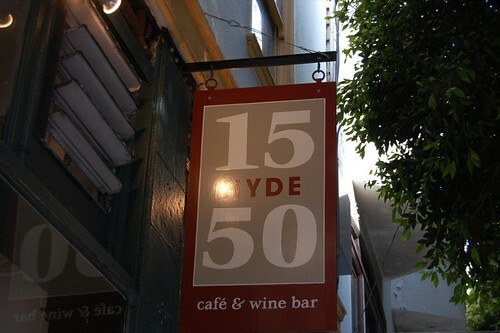 One of the meals I more enjoyed this summer was at 1550 Hyde, which ranks high among the Bay Area's most creatively-named restaurants: the now-defunct 500 Jackson, B44, One Market, 19 Market, 231 Ellsworth and The Richmond. It must have taken ages to come up with those names. Both my dining companion and I weren't too hungry, so we decided to skip the appetizers. 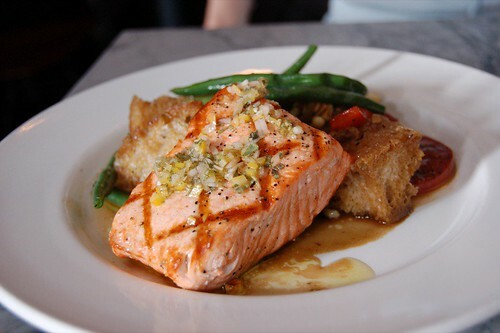 I am not a big fan of pork, but I do like salmon, and that night, there was an interesting salmon preparation on the menu. So, against all natural tendency, I decided to go with the pork. The pork was extremely tender, juicy, and fatty, with pretty much the same fat to meat ratio as pork belly. The pork was browned and subsequently braised, so it was intensely flavorful in its own broth. The piperade was a nice flavor pairing, though it provided little contrast in terms of texture with the meltingly soft pork. I didn't finish it, since it proved too heavy (my own fault for ordering, I know). I got to sample the salmon, and it was very good. It was grilled delicately such that the surface wasn't overcharred, and the fish turned out a perfectly medium-rare. The potato salad was replaced upon request with a delightful bread salad. I really wish I had ordered this. 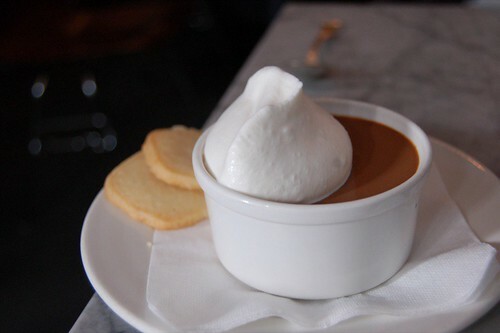 The pot de crème, one of 1550 Hyde's signature desserts, lived up to its hype. I'm not too big a fan of chocolate unless it's dark and bitter, and I was delighted to find that this was more on the bitter, as opposed to milky, side. Deliciously smooth and decadent, I think I just might order this next time. I really enjoyed the dessert special, a soft and chewy tart with a generous amount of chopped nuts. It had an interesting semi-crunchy but light consistency, which reminded me of toasted rice. 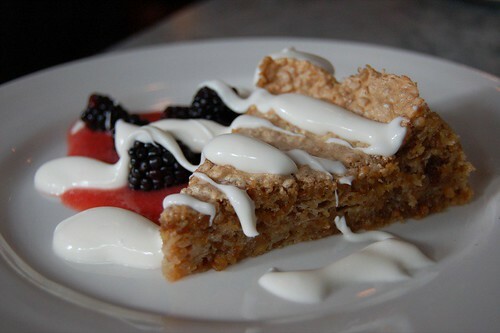 The nutty tart was accompanied with a fresh berry puree and juicy blackberries. 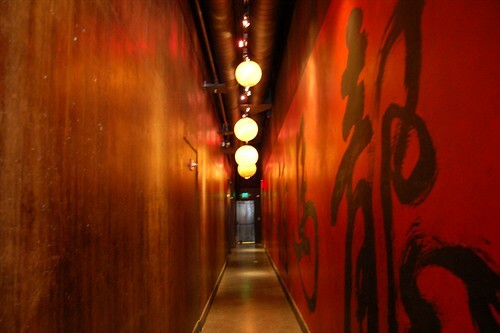 The decor is minimalist and a bit sterile, and the restaurant is a bit hidden in the block. The place is pretty small, seating around 42, but it's not so busy that it's impossible to get in. In short, they do the well-sourced-ingredients-Cal-Med thing extremely well in a cute neighborhood spot. In San Jose, Calif., Silicon Valley types will be able to dig into $48 porterhouses served with a dipping sauce of Chinese five-spice powder and honey mustard at Chris Yeo's Sino (Sept. 25; entrées $10 to $48). 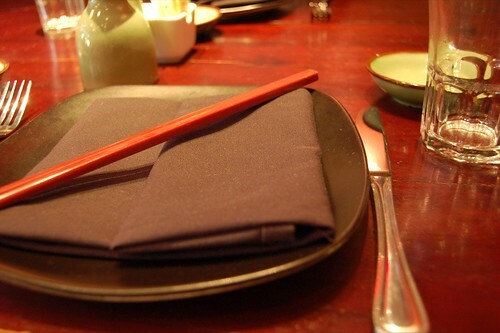 Mr. Yeo is behind the popular pan-Asian Straits chain in the Bay Area.. 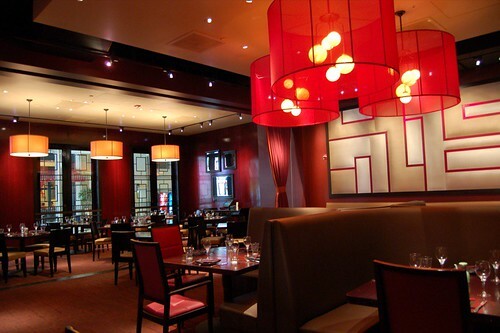 I've always associated restaurants in certain areas in the Peninsula (Palo Alto, Santana Row, etc) to be akin to those in Manhattan and Los Angeles: featuring stylish, swanky interiors and offering aesthetically- (but certainly not always palate-) dazzling plates. With the advent of the dot-com boom, many of these Vegas-type restaurants had come to populate the Peninsula, while San Francisco's restaurants have remained, for the most part, substance over style. While I primarily choose restaurants based on the food, I believe that atmosphere contributes a great deal to the dining experience. I have a certain appreciation for nice interior design, and when a hang-out place is what I'm looking for, elegant lounges are my thing. 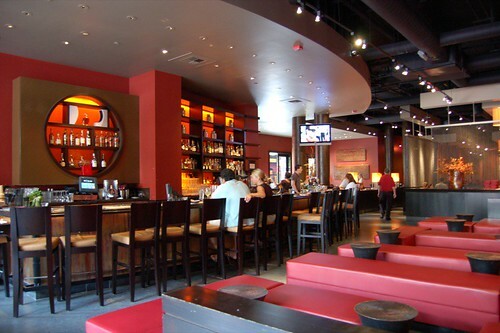 That said, I've been wanting to check out Sino (pronounced Sigh-No) Restaurant and Lounge, Chris Yeo of Straights Cafe's latest see-and-be-seen hotspot on Santana Row. I see Santana Row as San Jose's own Vegas strip; it's fake as hell but it's fun. I love the authenticity of the eating implements in this place setting. I rarely stray from my mainstay for good dim sum, Koi Palace. 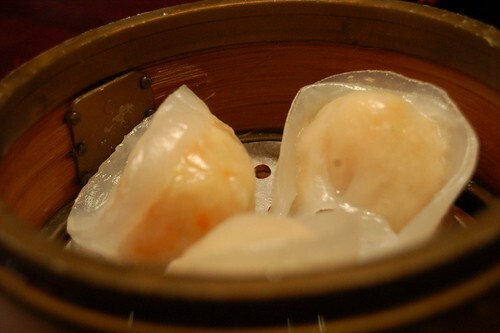 While the prices are higher than your average dim sum joint, I find it extremely reasonable for the quality you get. Sino's prices are considerably higher, with cheapest items starting at 3.75; I think Koi starts at 2.50? In any case, it's still cheap compared with western style tapas, but this is Asian food we're talking about, and generally, it's cheap. But then again, when was the last time you had dim sum in the States in this setting? Oh, I enjoy bathroom decor too. The bun was decent, but not as fluffy and light as Koi. The innards were a bit too salty, and the pork wasn't as delicate or lean either. It beats me why the creative folks at Sino would include "mushroom" in the name of the dumpling if it, ingeniously, contains no mushroom! The shrimp and scallop, accented with bamboo shoots, were fresh and had a nice bounce. The wrapper, though, was way too soft and broke apart very easily. I enjoyed this quite a bit. 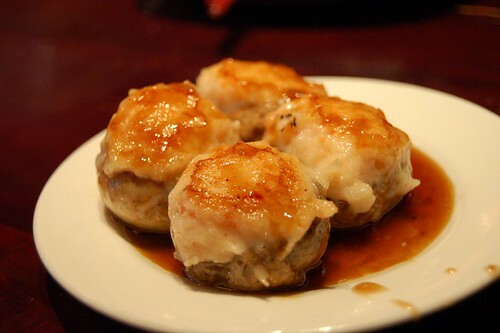 The stuffed mushrooms were lightly panned fried, slightly browned without being too greasy. The ground shrimp stuffing was quite good, and was well complimented with the sweet and savory black bean sauce. 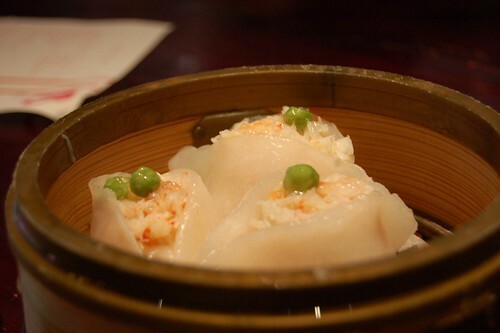 The perfectly-seasoned stuffing was generous in crab meat with whole chunks of shrimp. However, it suffered the same fate as the scallop dumplings with the utterly weak wrapper. I thought Sino's siu mai was pretty decent too. The pork was wonderfully juicy yet lean, and the wrapper was thin and delicate. 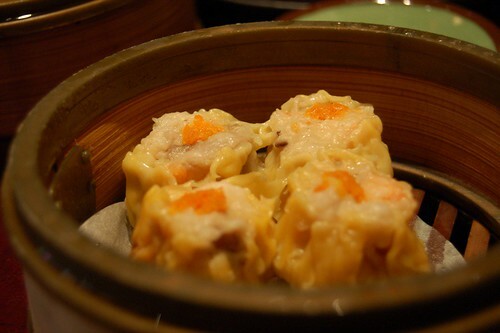 I am often wary of siu mai since they are usually heavy, but that was not the case with these. 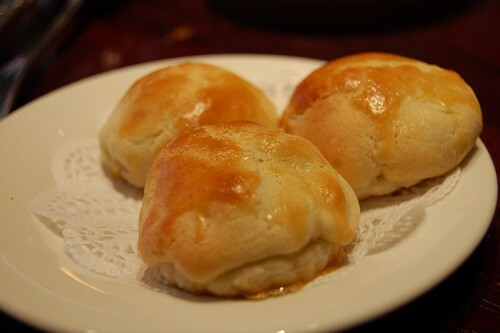 This was my favorite dim sum item. The crust was wonderfully buttery and crumbly, and the top crust lended a slight flakiness. The curry chicken insides were lean and aromatic, more on the sweet than savory side (typical of Chinese and Japanese curries). I daresay their meat-filled puffs are stronger than Kois. This was another weak dumpling. 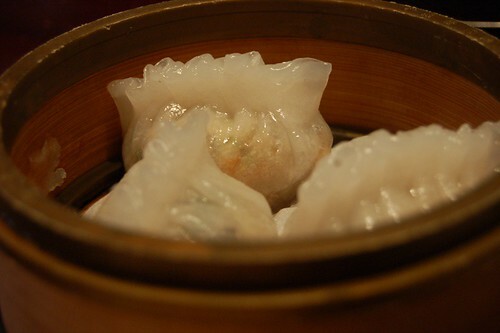 The innards were bland and made even more boring with such a thick wrapper, which is typically used with the Chiu-Chow style dumplings. They seriously need to work on their wrappers. This was a very mediocre fried rice. It wasn't greasy, I'll give them that, but it was so bland I wondered if they were using a weak range. It also tasted as if if the snow crab were mixed in at the end, since the rice tasted exclusively like soy sauce and out-of-the-bag mixed vegetables. The rice was also way too soft, missing the slight chewiness that comes from a well-executed fried rice. 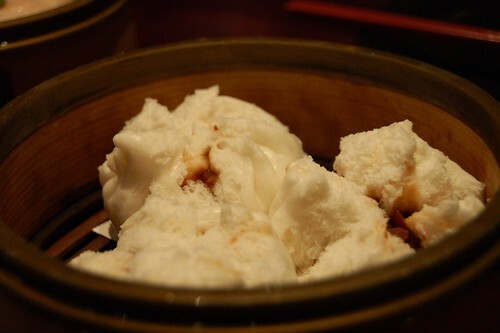 Overall, Sino's dim sum is passable if you are really craving dim sum and happen to be strolling on Santana Row. 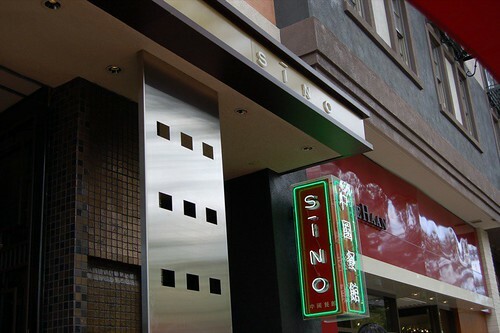 It is extremely overpriced for what you get, but it really isn't bad for what I expected to be a "style over substance" type place like Sino. I'd skip the food and go for drinks and lounging.